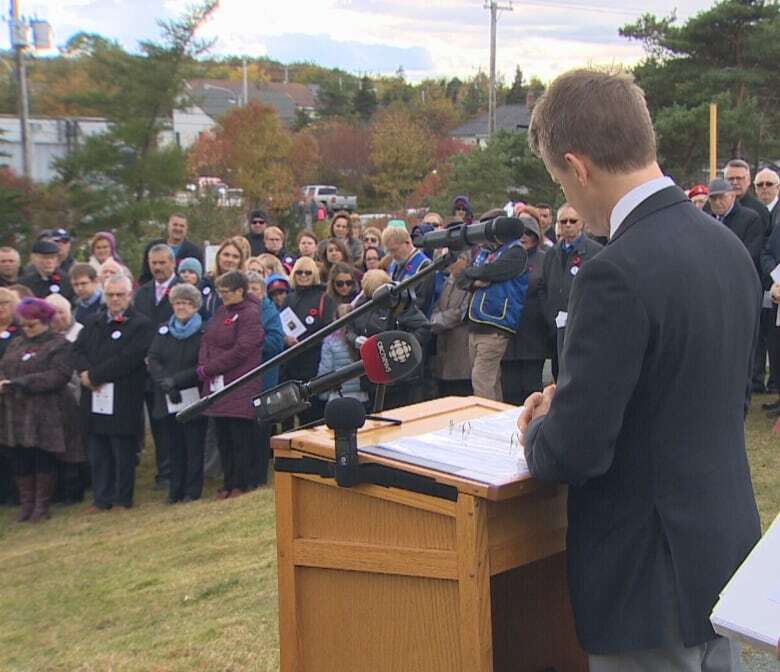 A Royal Newfoundland Regiment soldier credited with saving multiple lives during the First World War is being honoured with a new peace park in Conception Bay South. 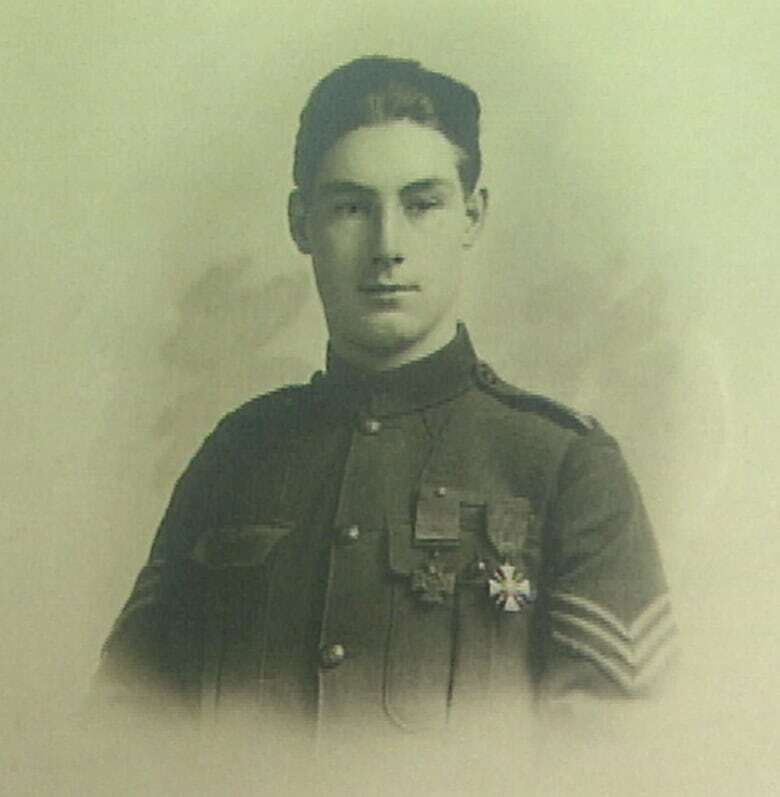 A Royal Newfoundland Regiment soldier credited with saving multiple lives during the First World War is being honoured with a new peace park in Conception Bay South, 100 years after his efforts earned him a Victoria Cross medal. Tommy Ricketts was just 17 years old when he helped the regiment fight off German soldiers on Oct. 14, 1918, by bravely dodging gunfire to retrieve hoards of ammunition after Newfoundland soldiers ran out of bullets on the battlefield. He then helped the regiment double back and drive away their enemies, turning around what could have been a deadly fight. Over the past few years, the Kiwanis Club of Kelligrews has been working to commemorate Ricketts, and on Sunday they officially launched the Tommy Ricketts Memorial Peace Park. The park, which features a baseball field, a playground, and a memorial garden, was once owned by Ricketts himself before being passed over to the club. "This will be an educational park for peace in the world," said Clem Drake, who helped spearhead the plan for the park. "I'm so proud of this, this is a major day in the history [of] this town and the province as far as I'm concerned." A mock-up of a statue of Ricketts was unveiled at the ceremony, and Drake says an amphitheatre is planned for the park as well. His granddaughter Catherine Soplet, who travelled from Ontario for the ceremony, says his legacy lives on today. "I knew as a child that he was a hero, but I didn't really understand what that meant," she said. "I thought everybody had a hero in their family. It was not until I visited my grandmother in 2006 that I really understood how big a hero my grandfather was." Ricketts died in 1967 when Soplet was just six years old, but she still has a few childhood memories of him. "My memory in 1966 is him shaving paper-thin, transparent slices of Cracker Barrel cheese, and he would feed me a morsel, and he would feed Blackie the cat a morsel, and Blackie the cat kept trying to get in the way of my morsel," she laughed. "So that was a happy memory of my grandad." Opening remarks at the ceremony were given by Minister of Veterans Affairs Seamus O'Regan, who spoke of the impact of Ricketts' bravery. "He believed in his nation. He believed his nation needed him to fight. And on October 4th, 1918, he laid it all on the line," said O'Regan. The minister says Ricketts' selfless action in saving lives sets a strong example, and the park is a great way to honour him. "In times of peace, we should seek out people like Tommy Ricketts and strive to be more like them."